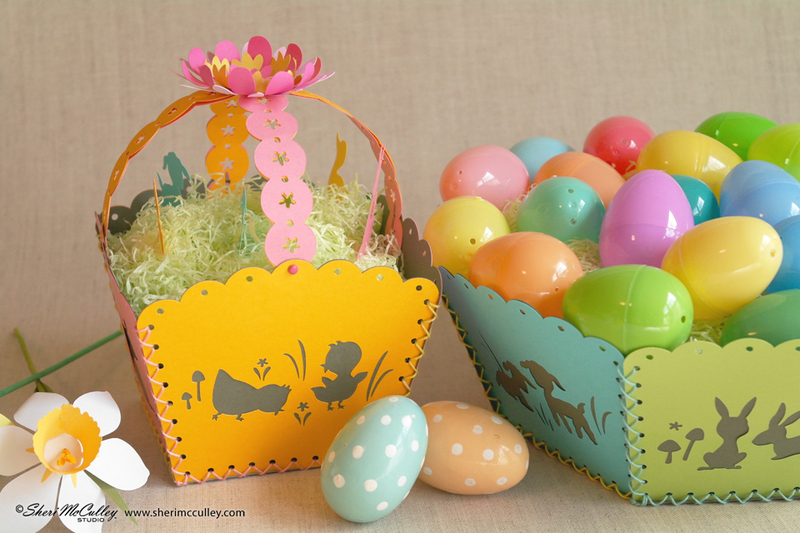 It isn’t Easter time without daffodils, tulips and of course Easter lilies. I have a way for you to force these bulbs to bloom right now and become a beautiful bouquet in time for Easter Sunday. 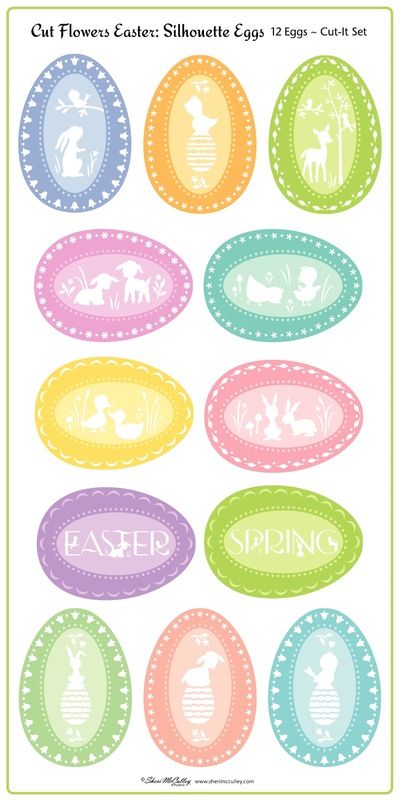 I have created another set of Cut Flowers files for Lettering Delights, this time for the Easter ~ Spring season. 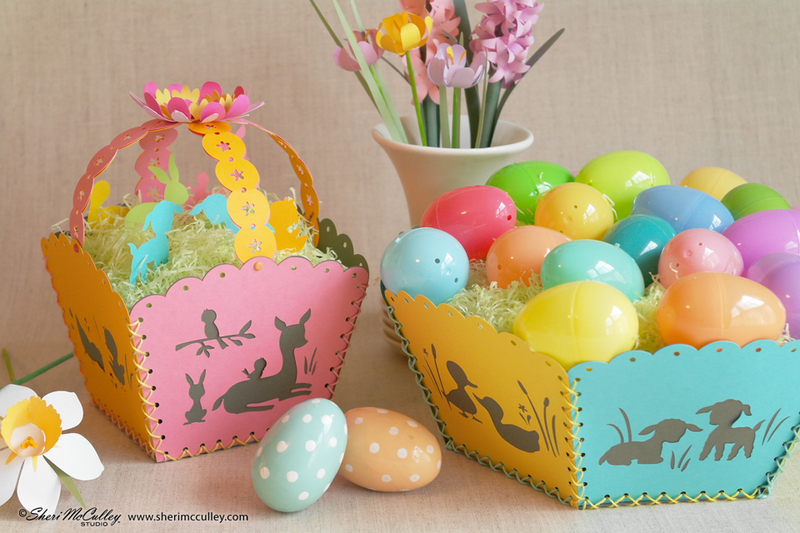 This complete set comes with daffodils, tulips, Easter lilies, hyacinths, crocuses and lily of the valley flowers. 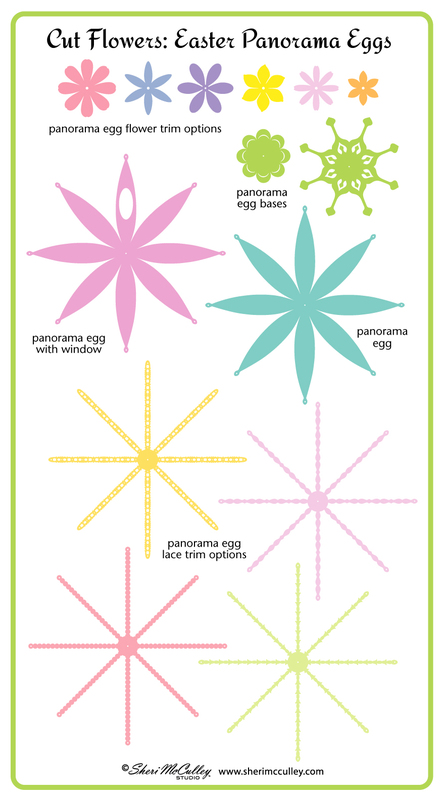 You can see the complete set of the flowers in the diagram below and tutorials for each type of flower to help in making your own bouquet. 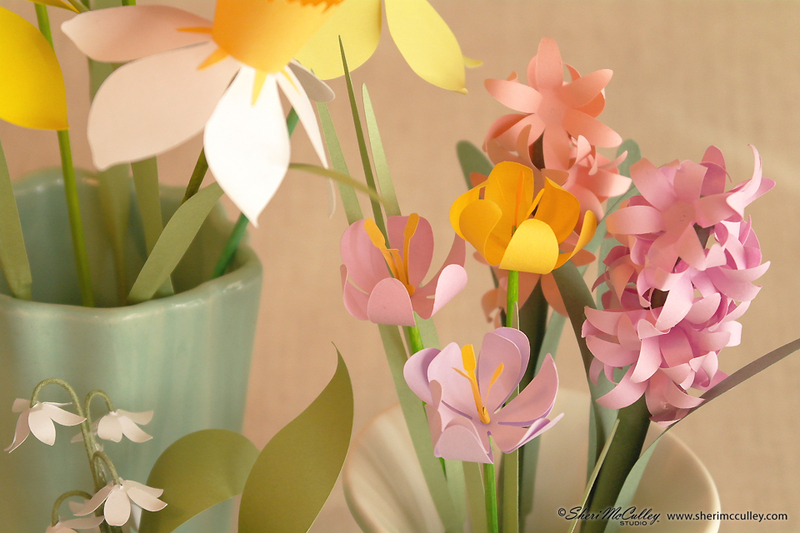 To make the tulip flowers use the tulip petals and leaves (I chose to have two petal sets). Cut out the petals on text weight paper, bend into cup shape by using dull scissors (or I use a bamboo skewer) to gently bend the individual petals into shape (both inward and outward at the ends). Then thread over painted or dyed bamboo skewer that becomes the stem for the tulip (using the center hole that is in the middle of the petal pieces). Next, make the stamen (once it is cut out of text paper) by twisting it tightly around the skewer and gluing it over the pointed end of the tip of the skewer (after you have positions the petals as you like them). 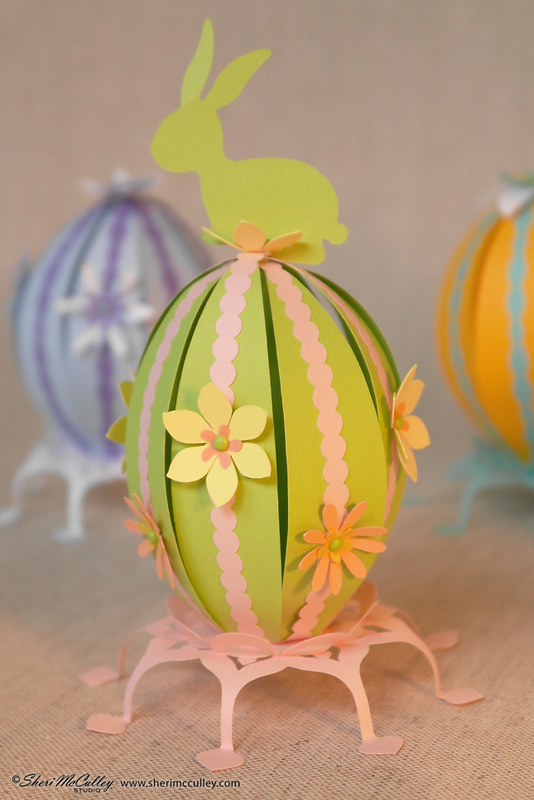 Cut out the leaves and glue them (use tacky or white glue) onto the green skewer stem to complete the flower. For the tulip and the daffodil flowers I used a 10 or 12 inch skewer for the stem. 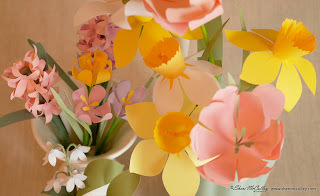 To make the daffodil flowers cut out all pieces of the flower using text weight paper in appropriate colors. Make the bell/cone of the flower by gently bending (rolling) the piece into a trumpet or bell shape and glue the ends of the rolled piece together. 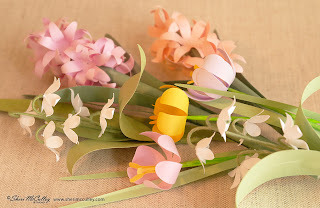 Bend the main petal flower downward with the skewer or dull scissors and then glue the bell/cone shape to the main petals (matching up the pointed tips of the cone to the center of each petal. 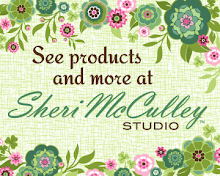 (see white daffodil in photo above). Next, make the stamen by twisting it tightly around the skewer and gluing it over the pointed end of the tip of the skewer (after you have positions the petals as you like them). 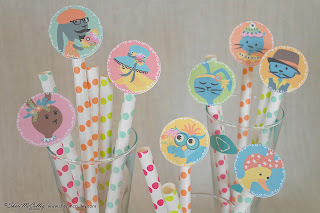 Cut out the leaves and glue them onto the green skewer stem to complete the flower. To make the Easter lily flowers cut out all pieces of the flower using text weight paper in appropriate colors. 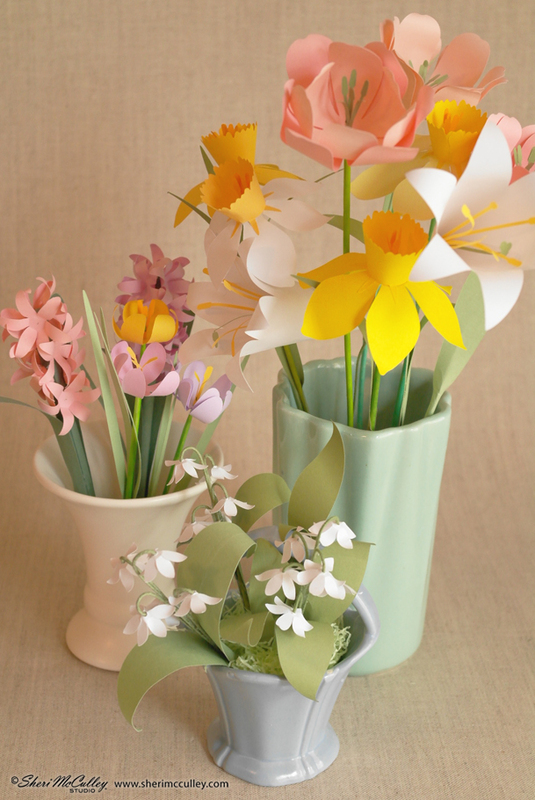 Make the trumpet of the lily by gently bending (rolling) the piece into a cone shape. 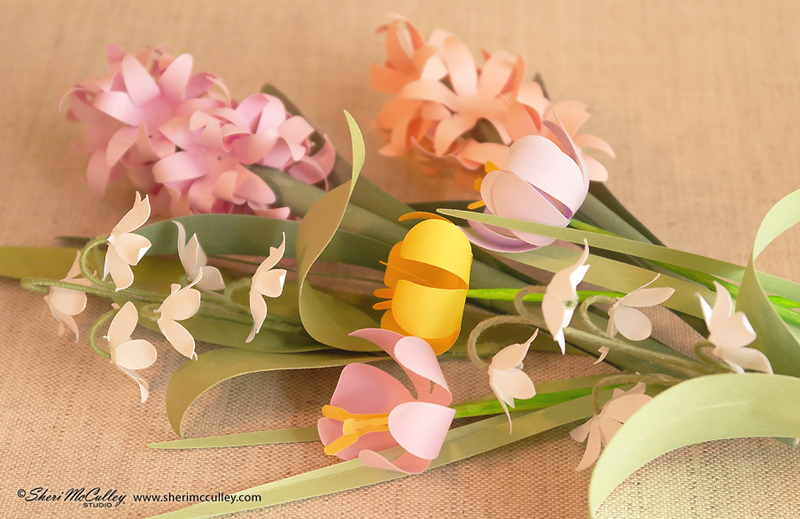 Bend the ends of each petal flower outward with the skewer or dull scissors and then glue the ends of the trumpet shape together. 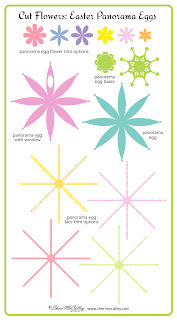 Next, make the stamen by twisting it gently around the skewer and gluing then individual stamen piece with the others. 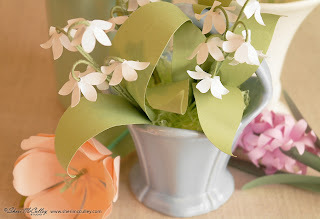 As the stem for this flower I used thick florist green cloth wire so the lily would bend out from it. I used a glue gun to attach the trumpet and stamen (tucked inside the trumpet to the end of the wire and then also glues leaves down the wire. You could also use a skewer for the stem, but I think a bend in the stem is nice for this type of flower and a wire looks better. 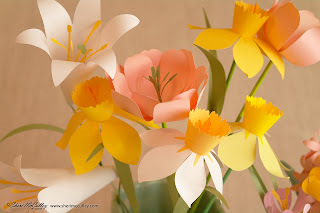 To make the crocus flowers use the same instructions and technique as described for the tulip, with the exception of bending the petals inward and not back outward. Also, to make the leaves for this flower twist them tightly around the skewer and glue near the base of the painted or dyes green skewer that becomes the stem. 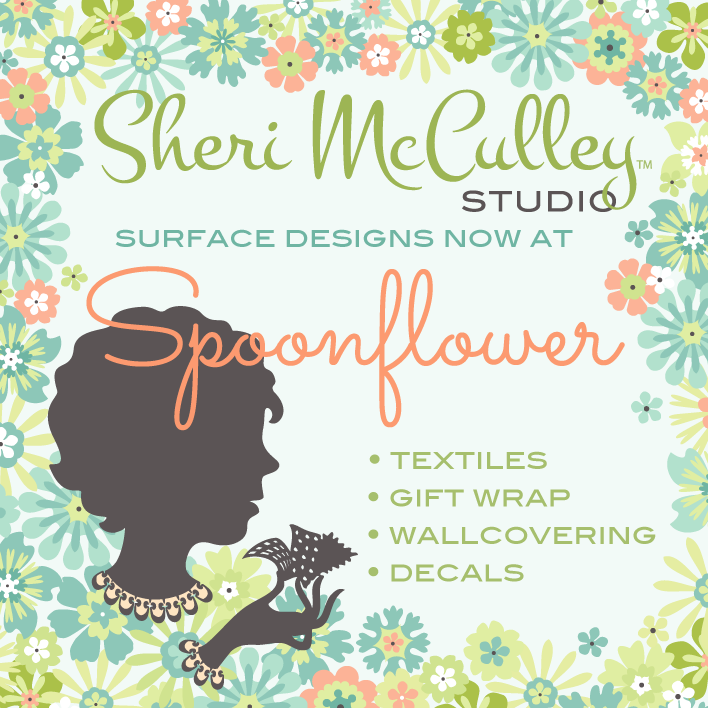 For this flower I used a six or eight inch skewer. To make the hyacinth flowers cut out many star shaped petals from text weight paper to have enough for a full flower. 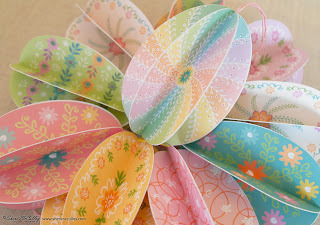 Then shape each petal by bending it into shape with the skewer (bending the petals away from the center outwardly). 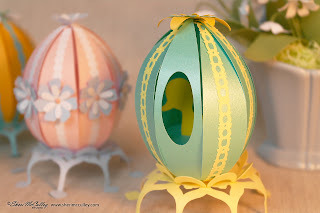 Once there are enough petals, glue them onto a dyed (or painted) wooden dowel with a glue gun, about a .25-.375 inch dowel and about 6-8 inched long, positioning them around the dowel. 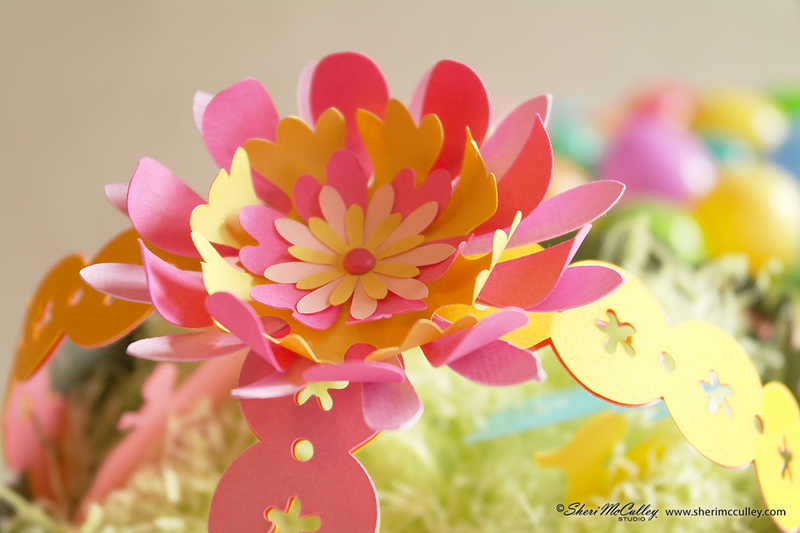 Then glue the leaves quite far down onto the dowel-stem to complete the flower. 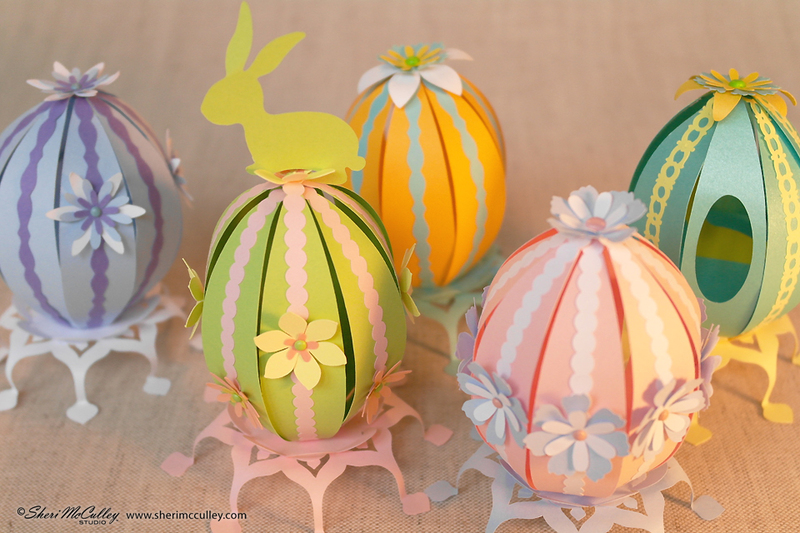 To make the lily of the valley flowers cut out many of the little white star shaped petals from text weight paper. 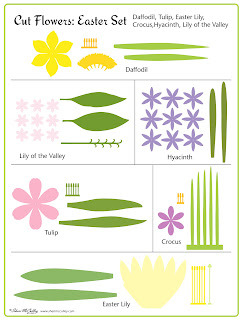 Once cut, shape each flower with the skewer, bending inward and outward each petal. I chose to use green cloth florist wire to hang the flowers from and glue gunned each white flower onto the curved end of the wire. 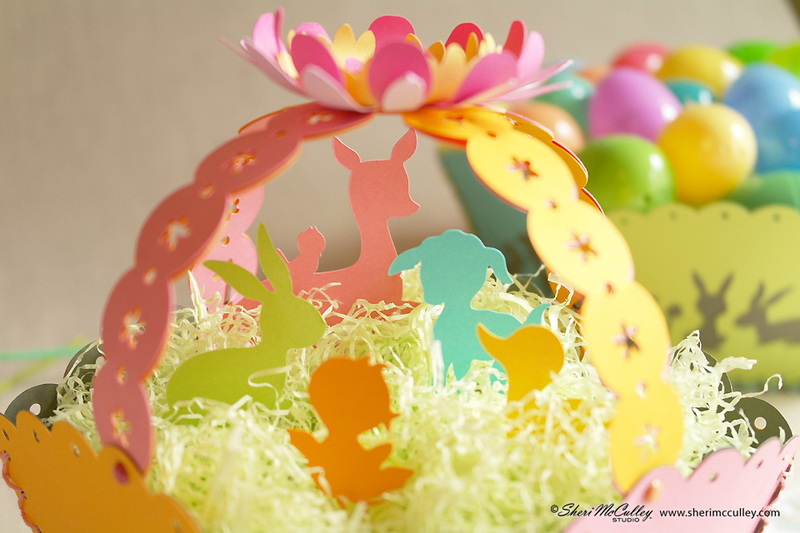 I then glued all of the wired flowers together with the glue gun and covered up the wire cluster with the large lily of the valley leaves. 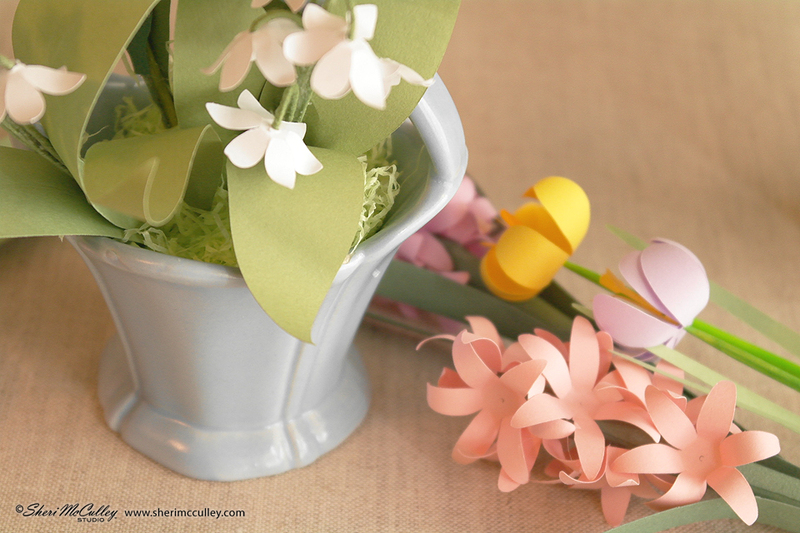 There is a stem shape in the file that can be used for the little white lilies to hang from, but you will need to use thick paper if you are using that stem and glue each flower shape to it. 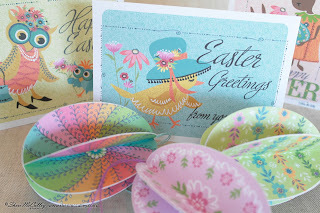 To make this lovely spring bouquet in time for Easter, go to Lettering Delights and you will find the Cut Flowers Easter set to choose this set and many others for your Easter and spring celebrations. Have a happy Easter this year! 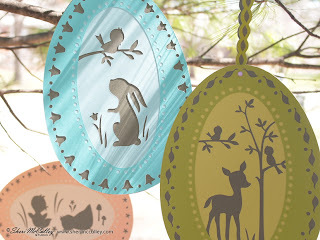 I love the look of silhouette art as it can make a clean and direct statement without a lot of fuss. 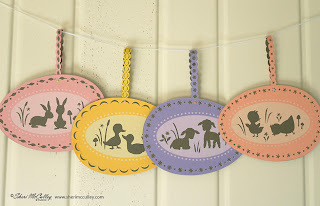 This year I thought it would be fun to spring into Easter with those direct and basic icons that specifically say Easter ~ the bunny, the chick, the lamb, the duck and of course the egg. 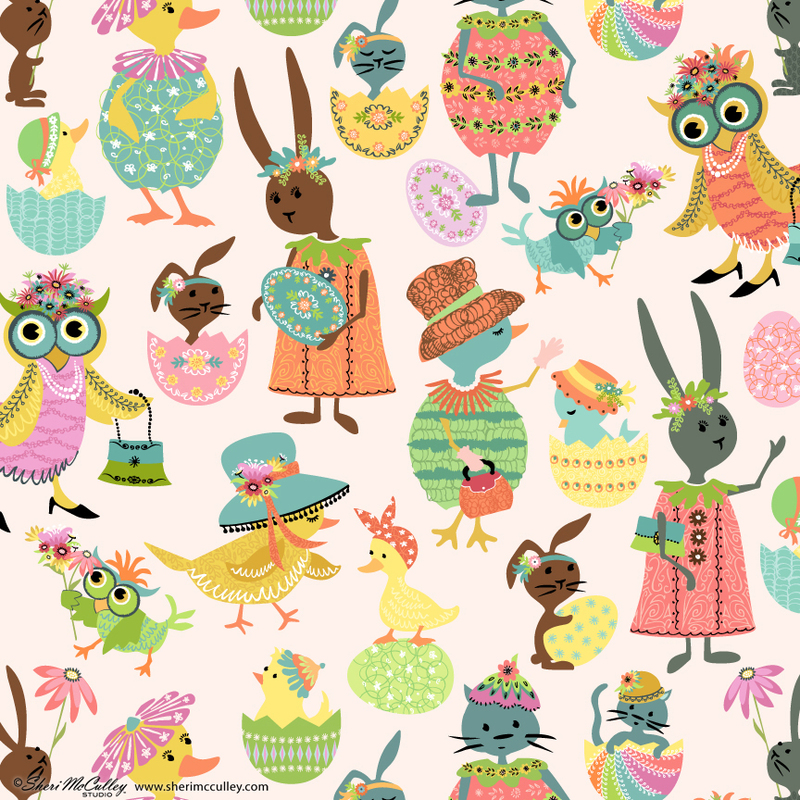 I added a few additional animals to complete the springtime look. These egg shaped silhouettes can be found on Lettering Delights and be made into hanging eggs, or used in cards, crafting, Easter signs and decor, and many more spring and Easter projects. 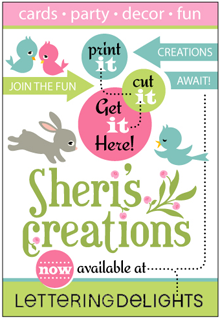 In the image, just above, you will see the artwork that is on the file available. 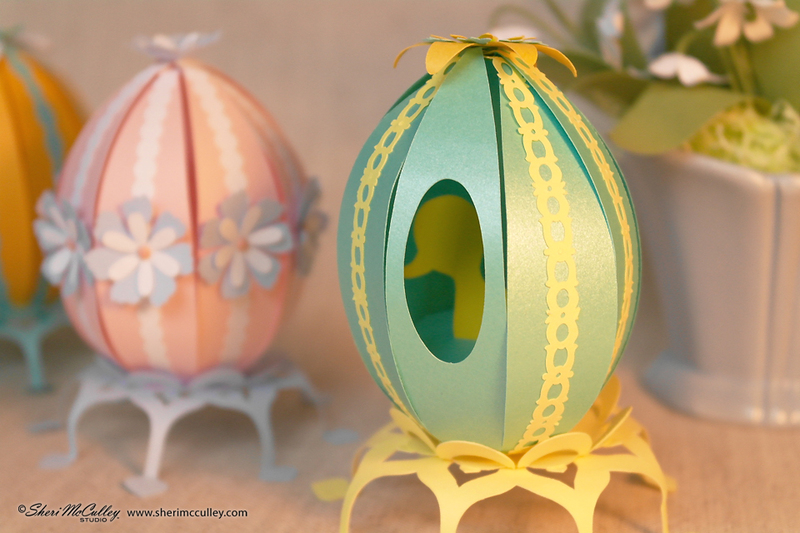 The egg art is made with two main layers ~ one is the silhouette of the animal, and the other is the framing egg shape surrounding the animal. I also provide you with trim for each egg that can be used for hanging the garland of eggs or for other crafting. 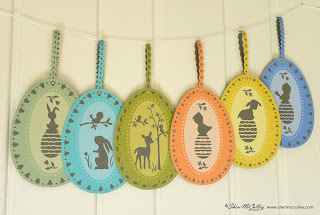 It would be cute just to use the trim as paper chains any time of year. 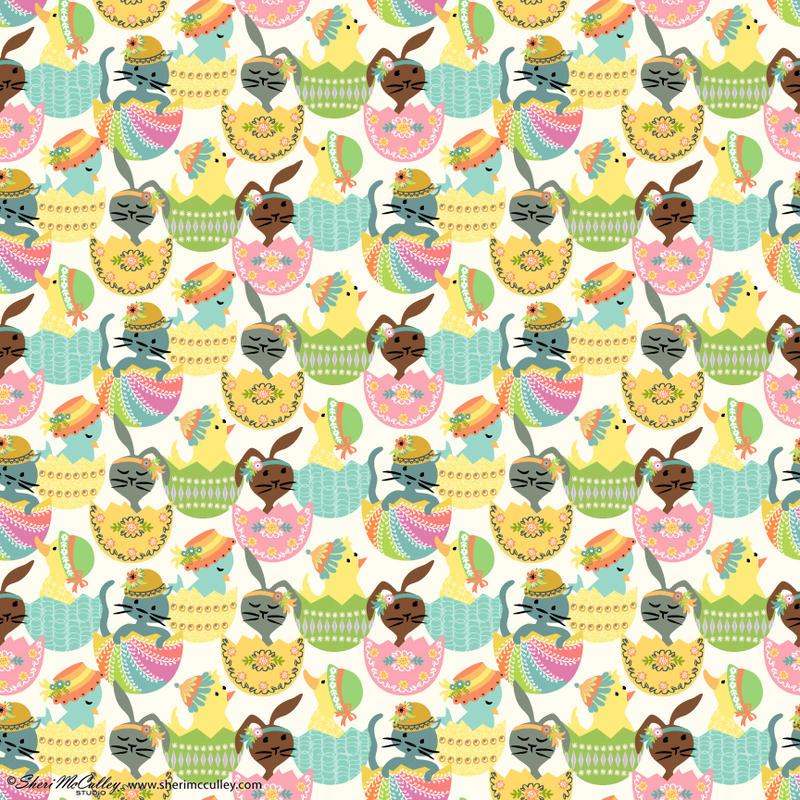 Above is a photo of all of the eggs that are vertical designs. 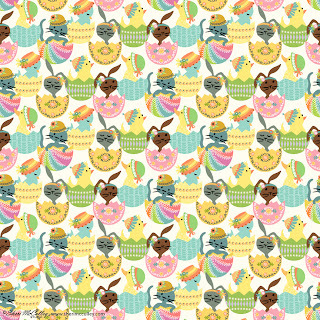 Above is a photo of all of the eggs that are horizontal designs (minus the word eggs). 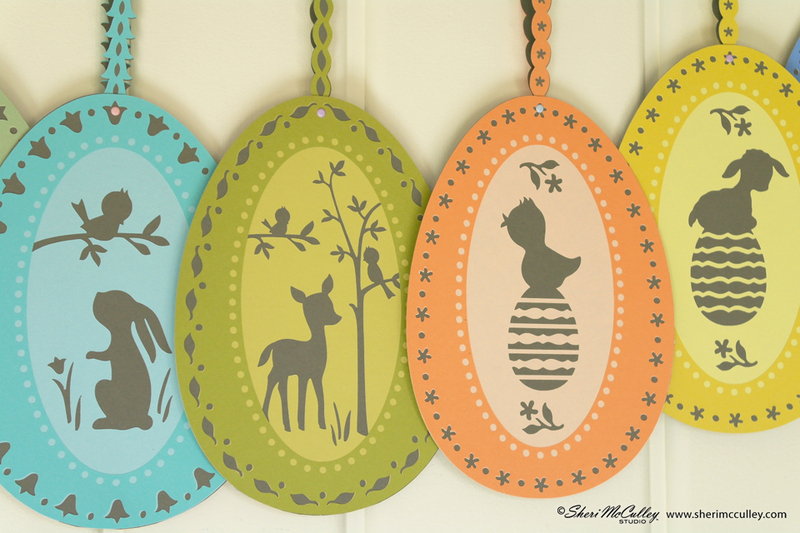 To make these silhouette eggs, I simply cut out each part of the egg design ~ the top layer, which is the framing egg shape; the middle layer, which is the silhouette of the animal; and the base layer, which is the solid egg background (in this case I used a charcoal gray paper). 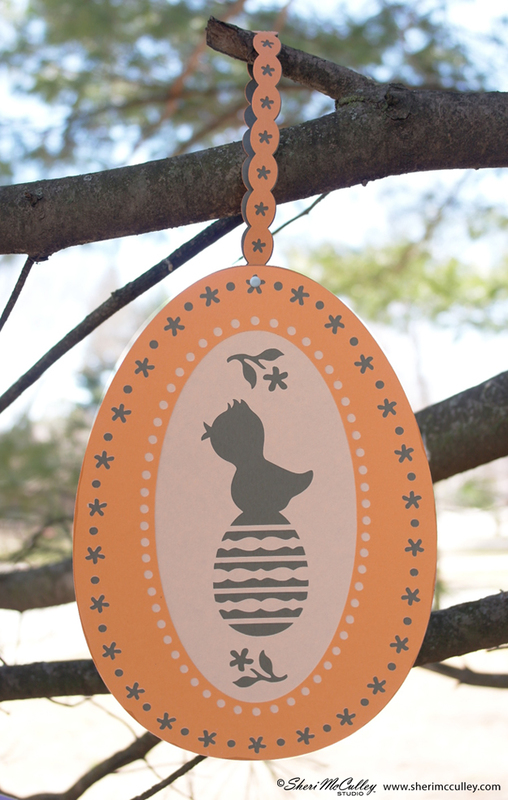 After each layer was cut out (and the two layers of trim for hanging), I spray mounted the silhouette animal layer to the gray egg, then the top framing layer to the middle layer. 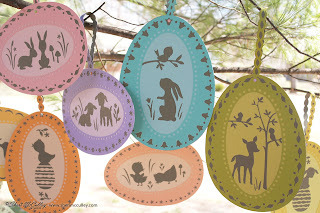 I then attached the top trim layer with spray mount to the gray base of the trim and then used a brad to loop the handle over and attach it to the top, center of each egg, shown in the photo above with the deer scene, and the photo below. These silhouette eggs can be used inside or outside for Easter. 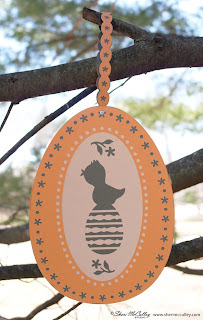 You can even use the stencils to spray your own art onto just about anything you can think of with spray paint, chalk or even egg dye and a spray bottle. Let’s see what you can do with the world of stencils this Easter. I can’t wait to see! 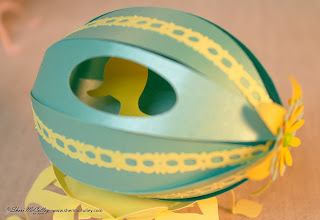 To get your set of Cut Flowers Easter silhouette eggs go here to LD and start stenciling away! 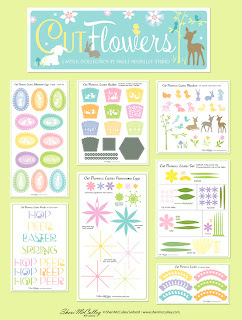 I have a new set for the Cut Flowers collection that is for Easter and springtime. 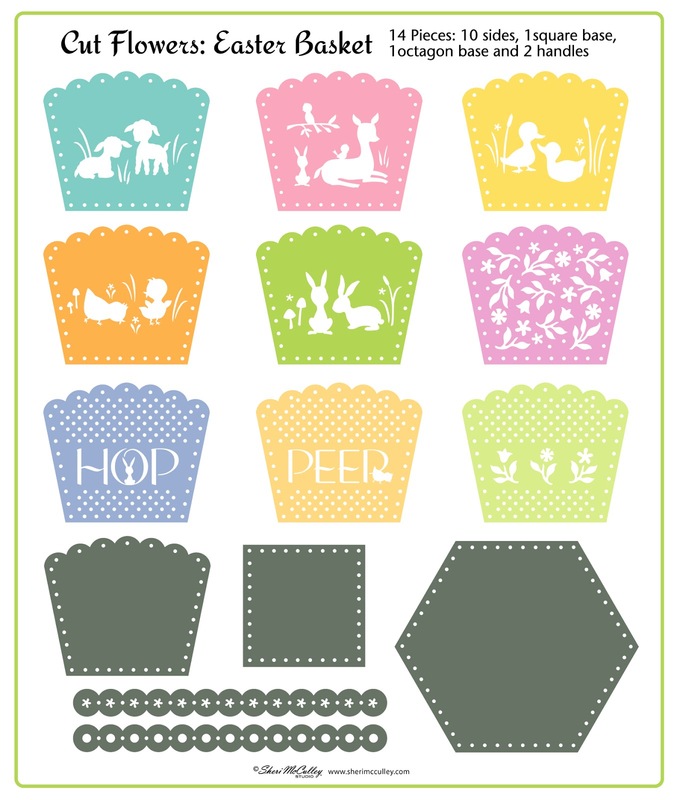 This new groups of sets includes three dimensional panorama eggs, Easter baskets, silhouette eggs, lots of Easter themed animals and nature icons, words and phrases, cupcake wraps and of course the perfect bouquet of Easter flowers to create for this springtime celebration. 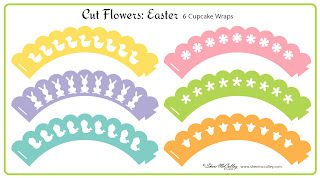 All of the sets in the Cut Flowers Easter collection are for cut-it files and some will even be easy to cut by hand, should you not have a cutting machine to help you do the work. You can get these files at Lettering Delights by clicking here to get directly to the collection and start hunting for your Easter treasures. 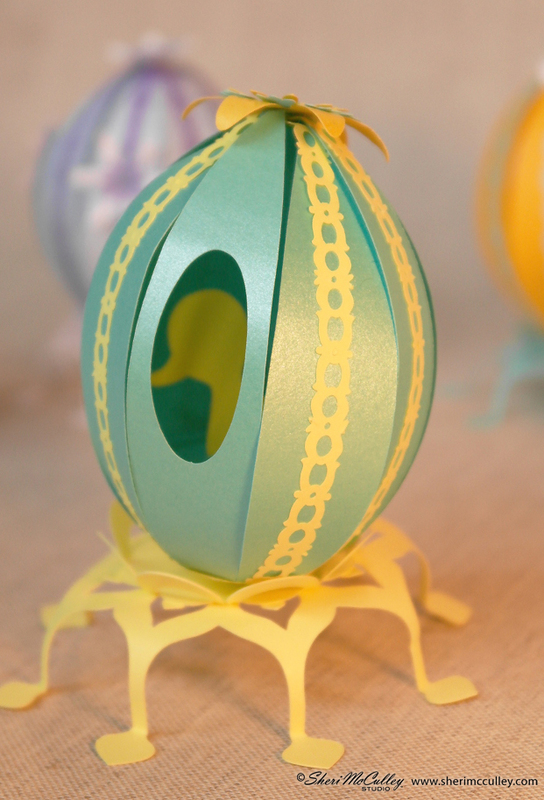 The photos above shows you what is possible to make with the panorama egg set. You can see the art here (also above) of the files you will get in this set. 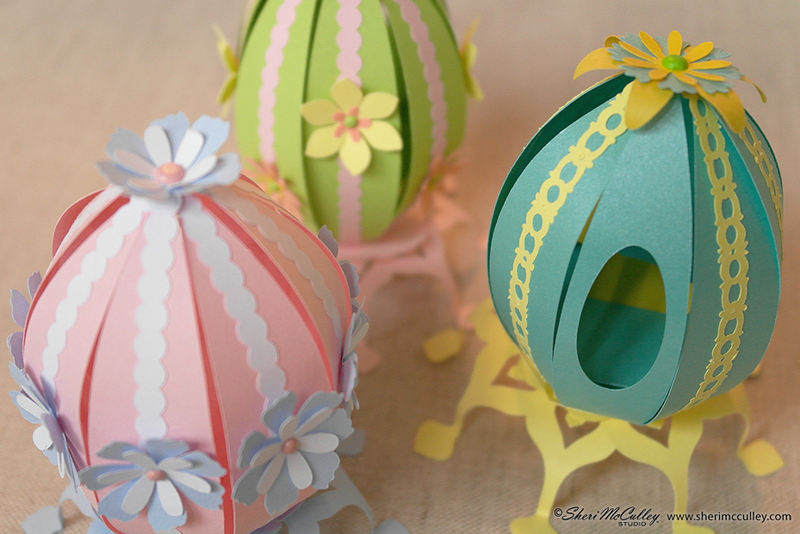 I will give a tutorial of this project on my blog this week, so keep checking back for the details. 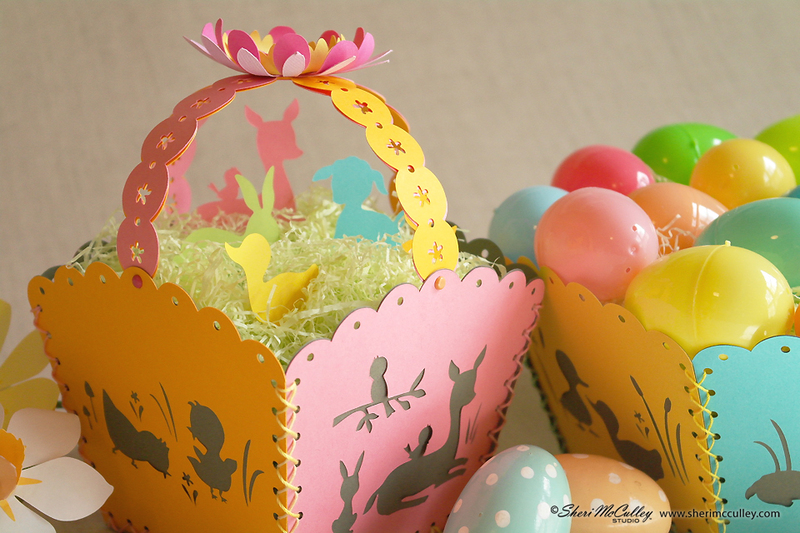 You will also be able to make Easter baskets that are square like a berry basket or a hexagon shaped basket. The photo above shows you how these baskets look. 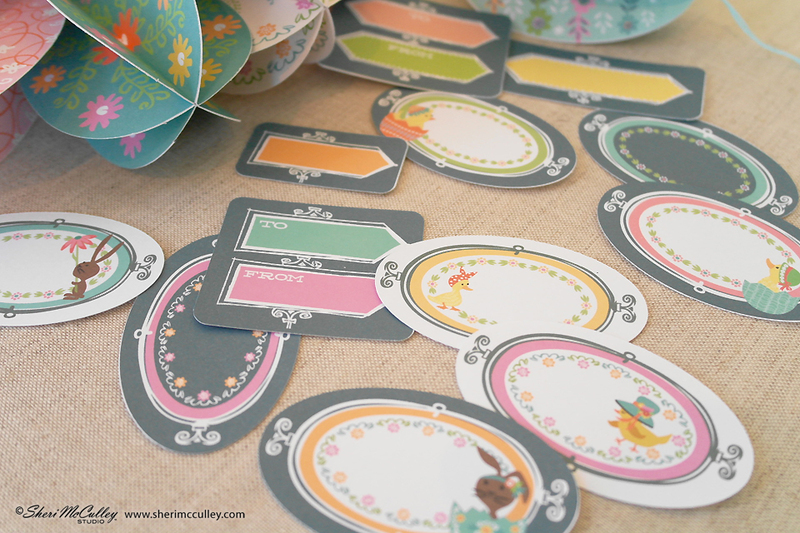 You can see the art here (also above) of the files you will get in this set. I will also give a tutorial in detail of this project on my blog during the week. You always know it’s Easter time when you start seeing crocuses and daffodils blooming outside. This Easter you can even force these flowers to bloom even if the weather outside isn’t quite ready if you get the Easter flowers files from the Cut Flowers collection. 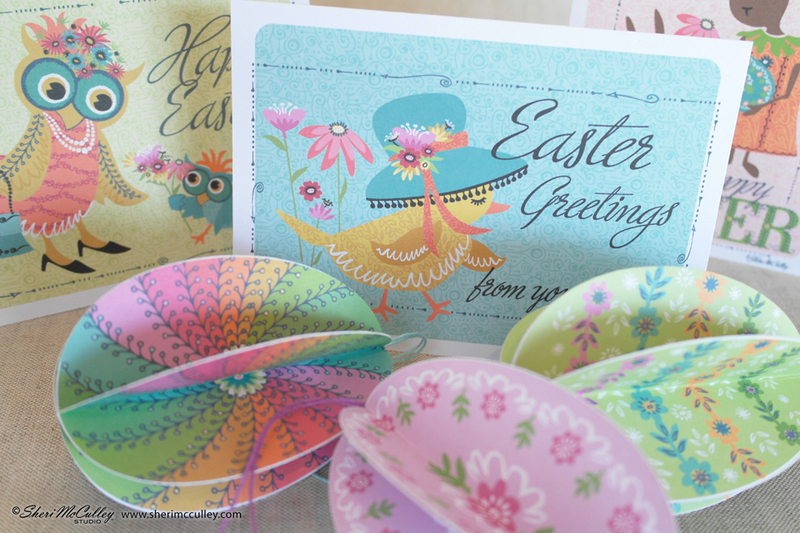 Above you will see a few photos of the flowers available along with the set of files to make this beautiful Easter bouquet. 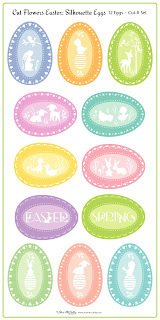 The flowers in this set are daffodil, hyacinth, crocus, tulip, Easter lily and lily of the valley. 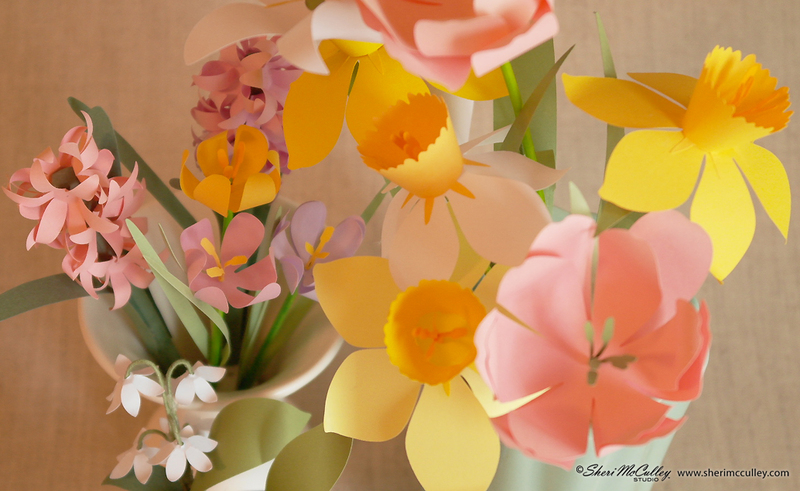 I will also give an in depth tutorial on how to make these flowers on a blog post this week, so remember to check in frequently. 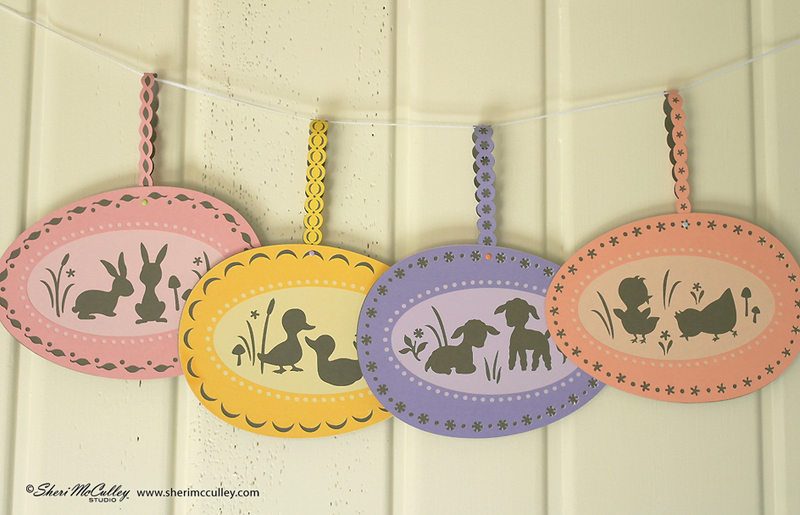 One of my favorite looks in design is a silhouette style of art. 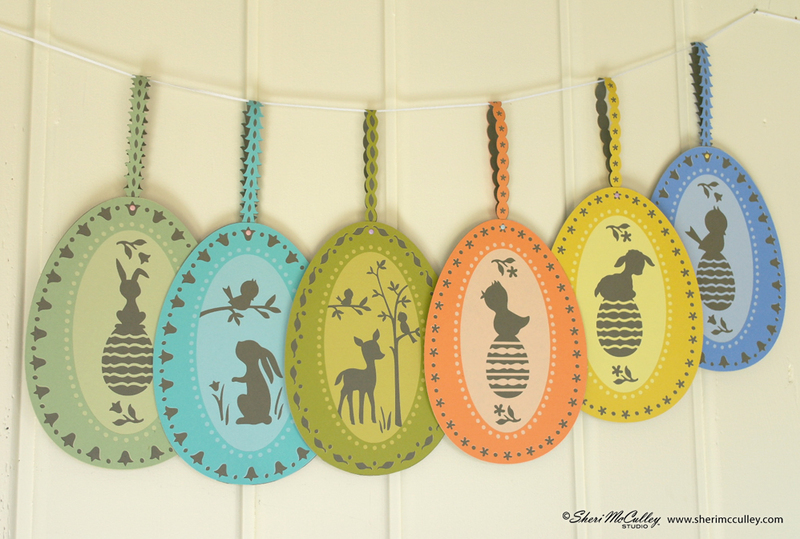 I have created a set of silhouette eggs for this Easter holiday to use in many craft projects and decor. 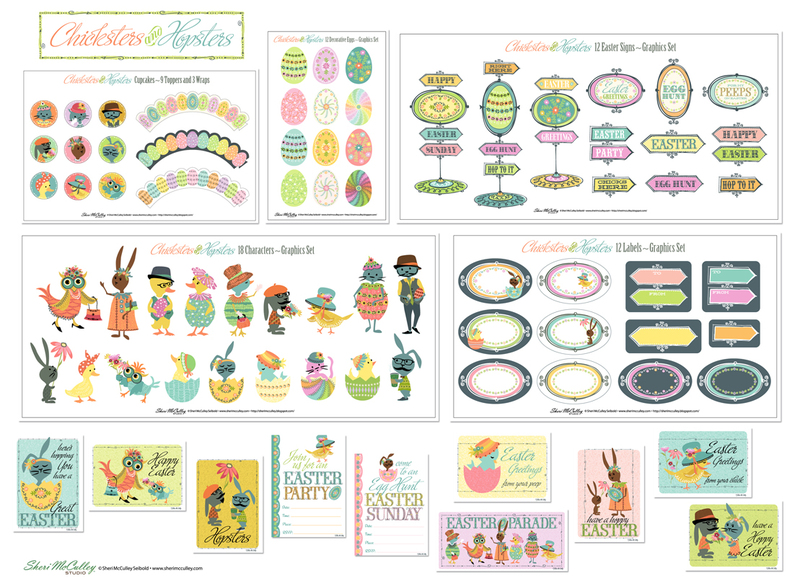 You will also be able to get this set of files on LD to create your own Easter theme. Above you will see a photo and the set of files available. 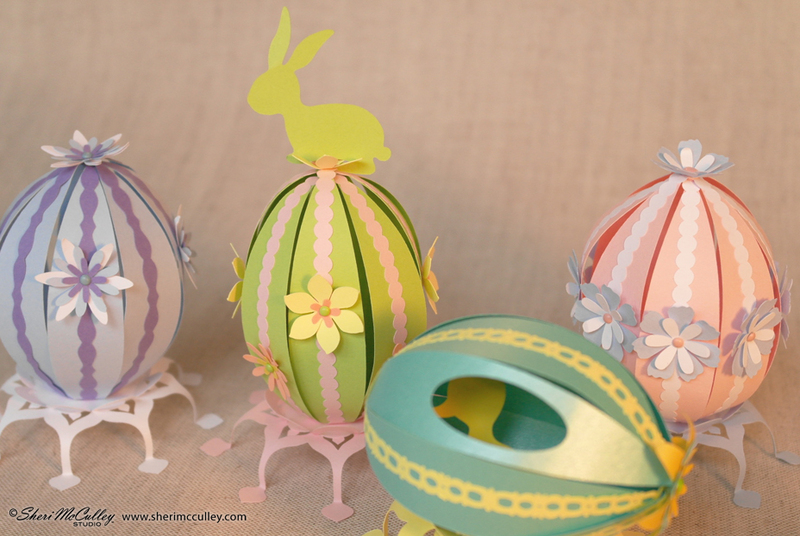 Again, I will have a tutorial during the week on how to make these silhouette eggs. 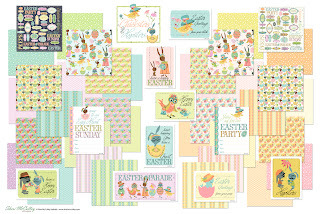 In addition to the files you have seen above, you will find cupcake wraps, Easter and springtime words and phrases and icons available in this complete set of Cut Flowers Easter theme now available on Lettering Delights to use for many projects and crafts this time of year (see images below). 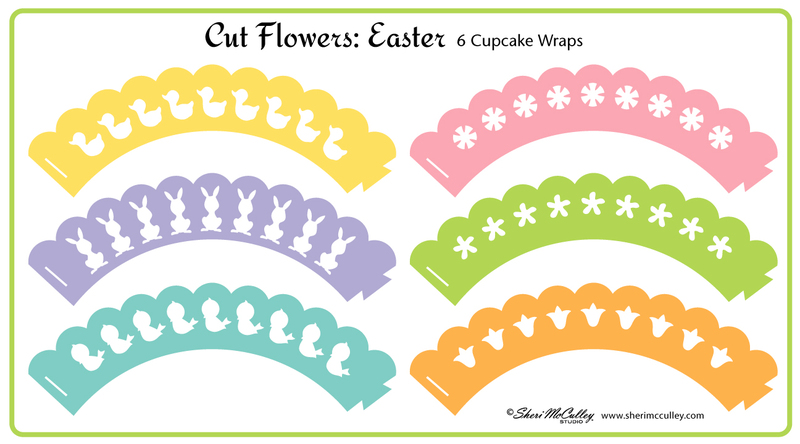 This image (below) shows the complete set of Cut Flowers Easter theme, now available on LD, so hop on over and start preparing for Easter each day this week! Happy crafting for a Happy Easter! 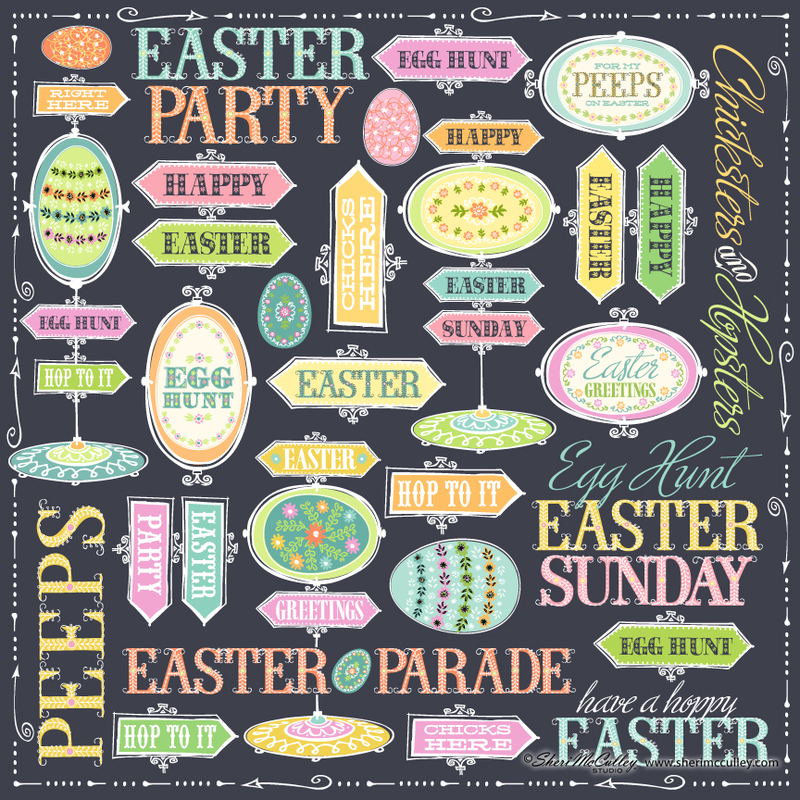 I have a new collection on Lettering Delights that will keep those Easter activities hopping along in a hipster fashion this year. 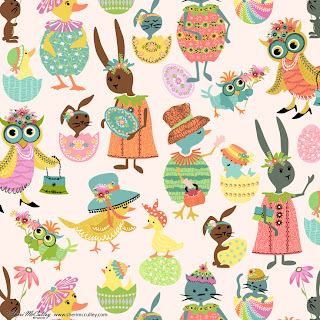 The collection is called Chicksters and Hopsters and there is something for everyone, young and old, male and female, hipsters and hadsters. 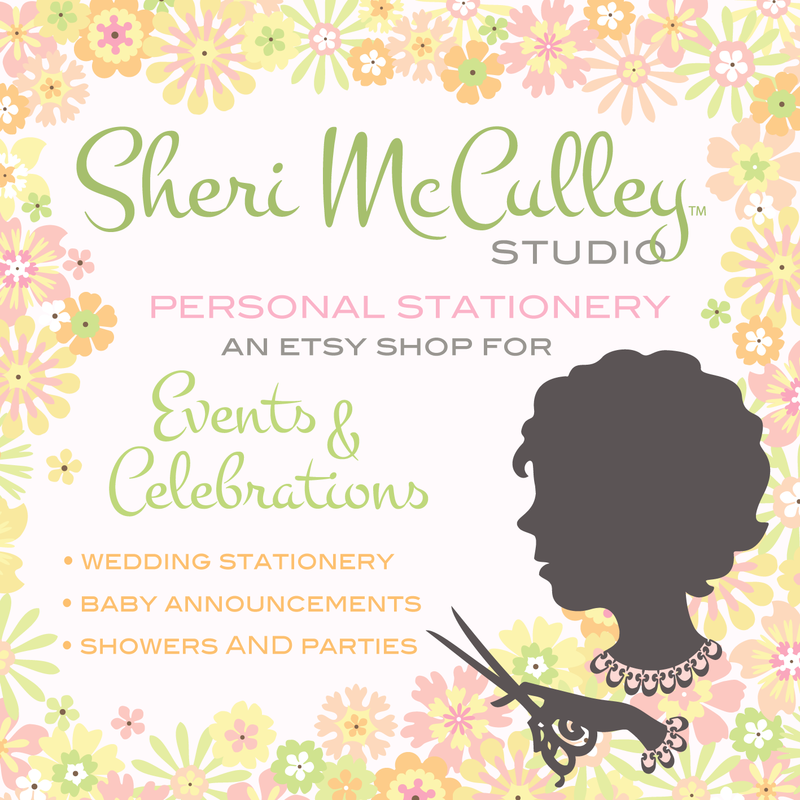 The sets are available in graphics and print and cut: there are many card designs, two party invitations, lots of labels and tags. 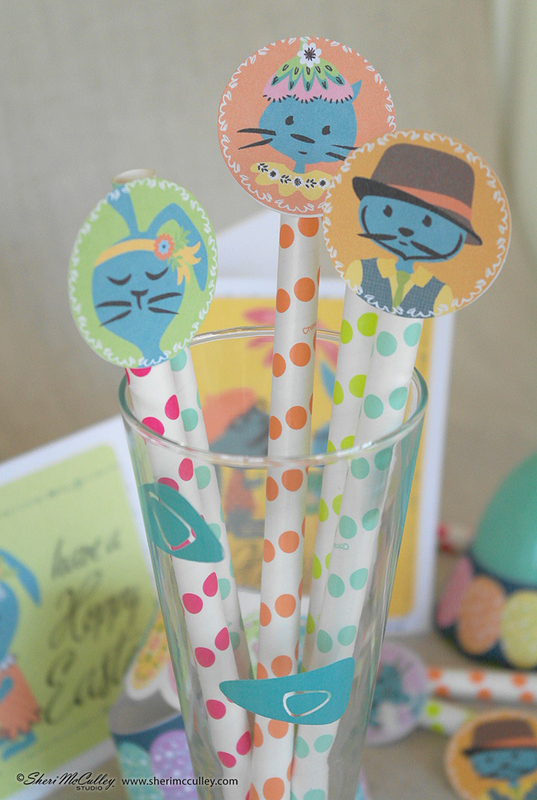 As well as party goods for cupcakes, drinking straws, lots of decorative eggs and of course the hipsters themselves in 18 fashionable and individual statements. 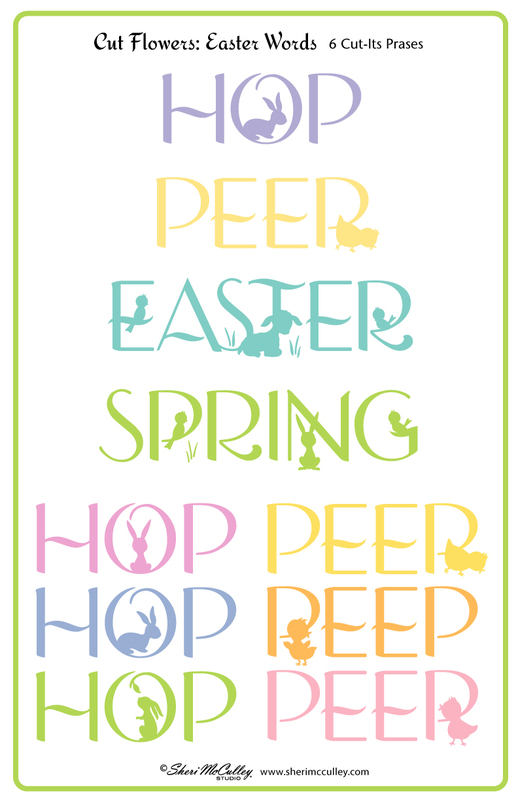 In addition to these fun graphics there are signs to point the way to the hip-hoppening parties you will be having. 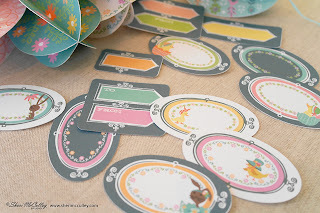 And for uses in a million different ways there are two paper packs of 18 designs each, one of the cool and one of the warm color sets. 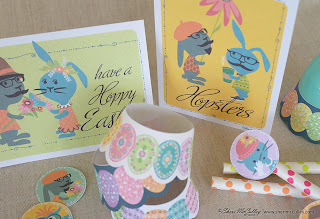 Here are a few photos to show you some of the collection ideas, but once you get a hold of these files you’ll have a basket full of your own ideas to share with your peeps this Easter! 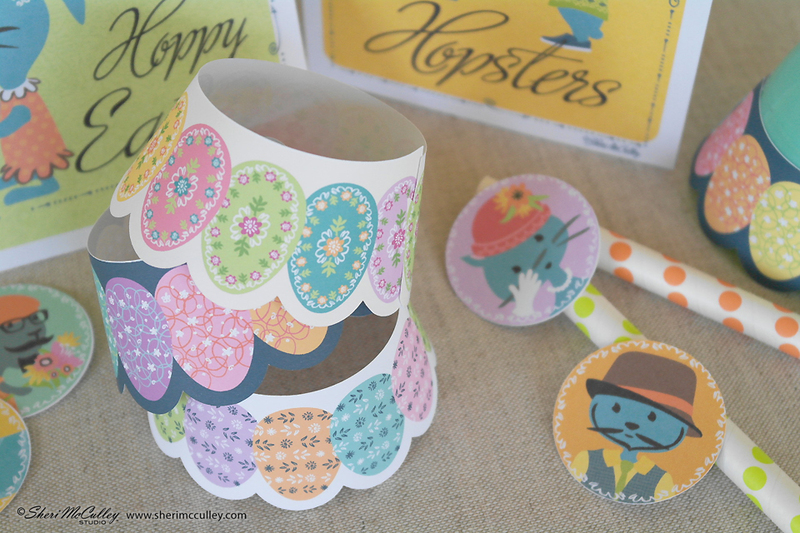 Hoppy creating! 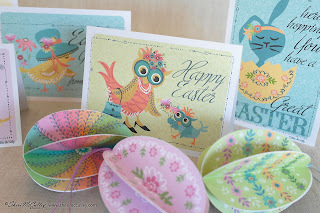 To find the entire collection of Chicksters and Hopsters go here to get the goods on Lettering Delights. One fun way to create eggs for Easter without getting dye all over your hands! 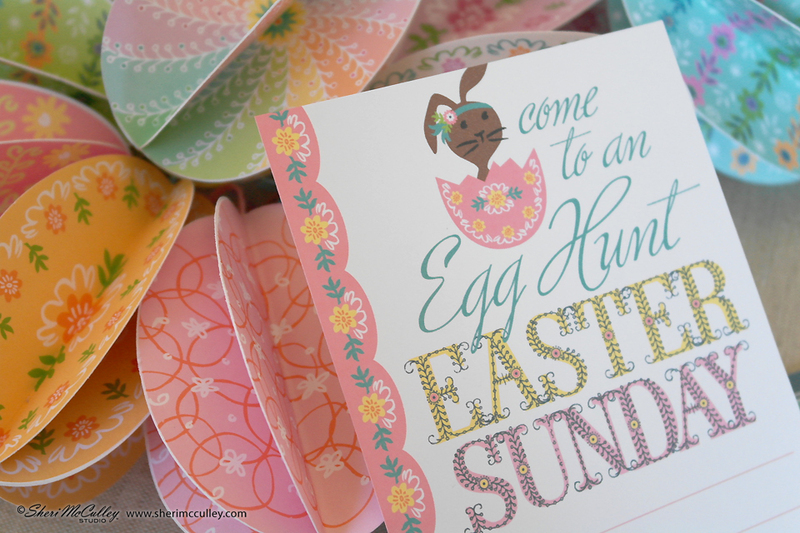 Once you have those eggs hidden, use this egg hunt invitation to get your peeps to your party. Or choose an Easter party invitation if you aren’t hunting for eggs, but in the mood to party. 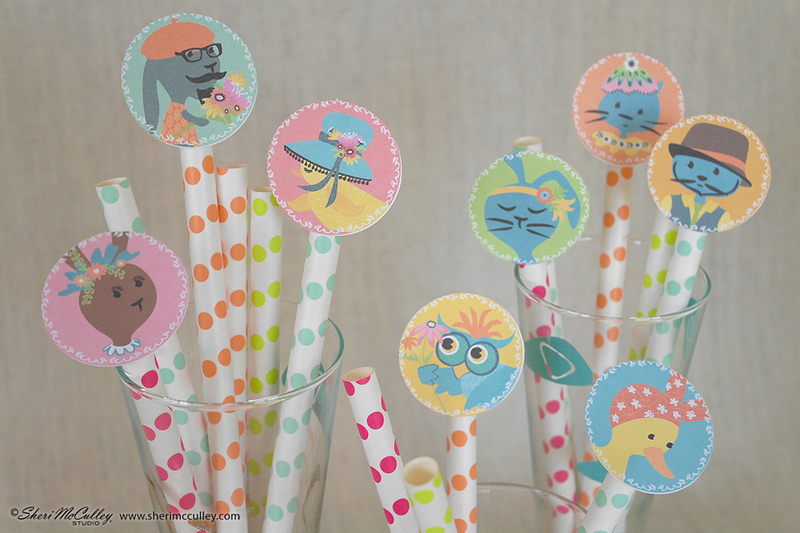 Guests need drink markers, and what better way than this? Now, these are silly straws! Think cupcake wraps and then think of them as egg holders, yep, they are reversible, and hip! 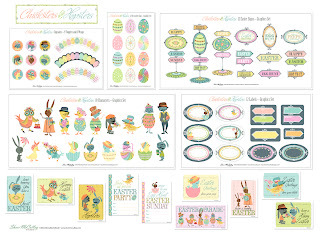 When you send out your Easter greetings this year, you will have a number of options to pick from with the eight different card designs available in this Chicksters and Hopsters collection. Here are a few below. 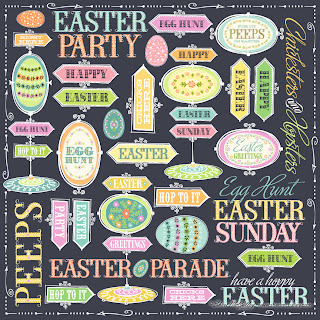 Finish off your Easter celebration with labels and tags to personalize for your party guests and gift giving. 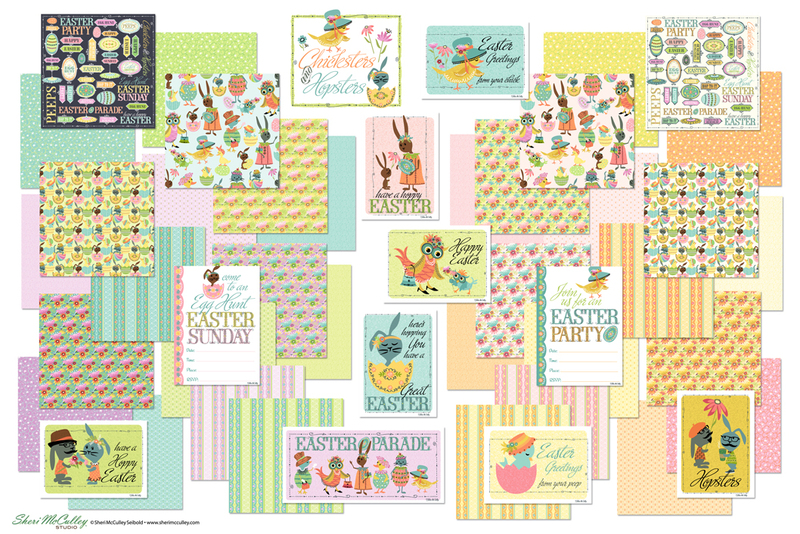 Below are the images showing what this collection consists of and the paper packs available in the last image. 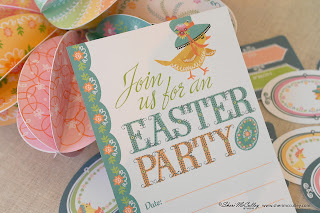 Now, get on over to Lettering Delights and start preparing for the hippest Easter party on the block!